There were 612 press releases posted in the last 24 hours and 153,907 in the last 365 days. Global packaging market is estimated to be around $700 billion and is estimated to witness momentous growth in coming years owing to the rising demands from chemical, pharmaceutical, lubricants, food, beverages and building & construction industries. Packaging is changing at rapid pace due to growing customers and product manufacturer’s requirements. Packaging Machinery market is poised to witness noteworthy growth which attributed to the demand from food, beverage, pharmaceutical and chemicals sector. Rapidly growing & urbanizing global population is set to impact the industry significantly. Filling, capping and sealing are the major processes involved in the packaging of liquid or semi-solid materials. The global filling, capping & sealing equipment market is segmented based on process type, function, container type, end user and geography. 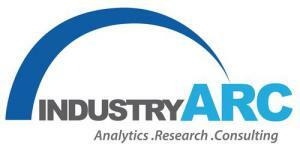 The global filling, capping & sealing equipment market is estimated to be $5.5 billion in 2017. Increasing demand for smaller size package, automation and robotics in filling equipment and globalization of food production are the key factors driving the market growth. Bottle and Jar segment of filling, capping and sealing equipment held major share in the market in 2017 owing to their higher demand by consumers as they offer superior convenience whereas rising popularity of stand-up pouch & brick liquid carton is driving the market globally making it the fastest growing segment during the forecast period. Automatic equipment is opted by manufacturers to speed up packaging, increase production and at the same time maintain the safety and hygiene of the product whereas the semi-automatic equipment are attractive to customers because of their entry level price points. Asia- Pacific held the major share in the market mainly driven by growth of automation processes, speed and flexible production of food products. Countries such as China, Japan and India are estimated to foster the market growth in the APAC region making it the fastest growing region during 2018-2023. Global filling, capping & sealing equipment market is highly fragmented and competitive. Technological advancements and collaboration strategies are adopted many key players to enhance their market share and thus drive the market. Q. Does IndustryARC publish country, or application based reports in Filling, Capping & Sealing Equipment Market? IndustryARC primarily focuses on Cutting Edge Technologies and Newer Applications in a Market. Our Custom Research Services are designed to provide insights on the constant flux in the global supply-demand gap of markets. Our strong team of analysts enables us to meet the client research needs at a rapid speed, with a variety of options for your business. We look forward to support the client to be able to better address their customer needs, stay ahead in the market, become the top competitor and get real-time recommendations on business strategies and deals. Contact us to find out how we can help you today.